Blend the principles of flow, queues, theory of constraints, Lean, and Six Sigma to concoct a very powerful message that I have come to believe over the years: ‘You’ve got more capacity than you think! 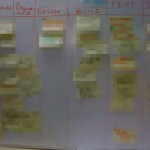 Use existing capacity to do more The Kanban Way. 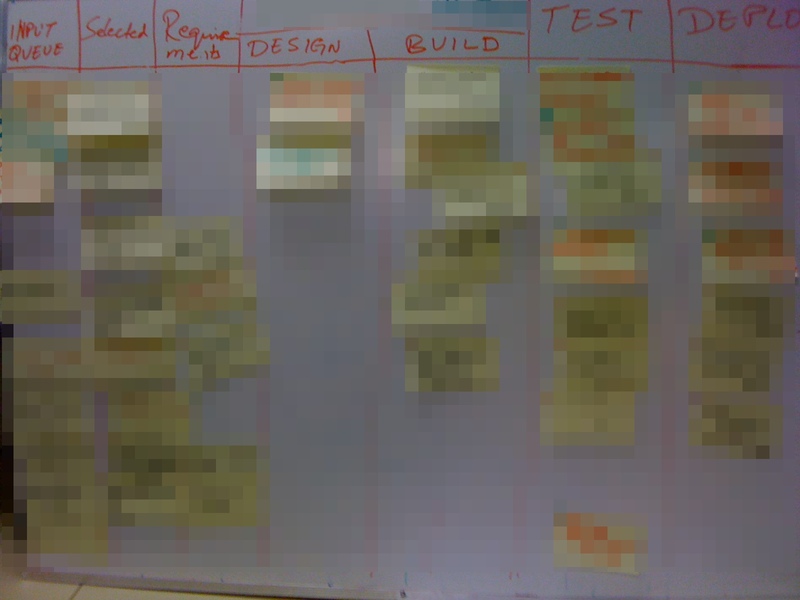 The hardest thing about implementing the Kanban is the paradigm shift in policies it leads to. “How can just visualizing work and limiting work improve throughput?” It’s so counter-intuitive. However, the very act of visualizing and limiting work highlights bottlenecks as they appear, giving you a chance to fix things before they become big issues. Implementing Kanban enterprise-wide, however, will need the blessing of senior management, specially if organization has been following traditional methods for a very long time. When going about leading the change, chances are that the people actual doing the work would absolutely love it since they get to see what’s within their queue. It is convincing the middle and the senior management that will be challenging. There’s also this perception of relinquishing control by the middle management. A paradigm shift indeed.